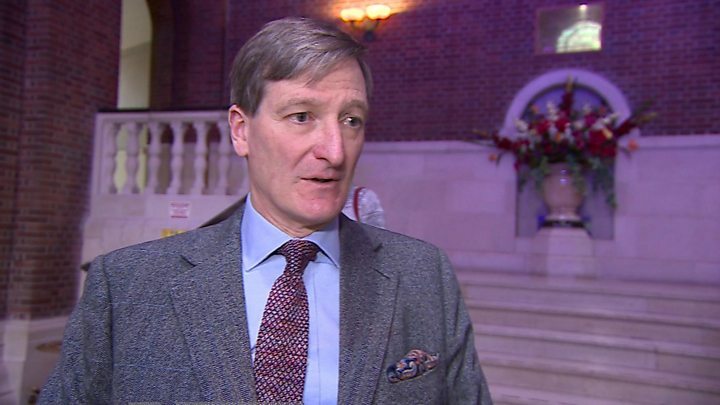 Conservative rebel Dominic Grieve has urged the prime minister to delay Brexit if her EU withdrawal deal is rejected by MPs next week. Mr Grieve, who backs calls for another referendum, said she could remove the 29 March date from UK legislation and ask the EU for more time. Cabinet ministers who oppose leaving the EU without a deal had a "duty to resign" if she refused to do so. Ministers warn the UK faces Brexit "paralysis" if the deal is rejected. And the prime minister's spokesman said on Friday that the government wouldn't extend Article 50, the legal mechanism taking Britain out of the EU on 29 March. Kuenssberg: What could change dynamics of Brexit vote? Mr Grieve, who tabled the amendment that led to a government defeat on Wednesday, has been at the forefront of cross-party efforts to ensure MPs have a say in what happens if Mrs May's deal is voted down. In those circumstances, another of Mr Grieve's amendments means that the Commons will then have a chance to vote on alternative policies - everything from a "managed no-deal" to a further referendum could be on the table. MPs are widely expected to reject the withdrawal deal negotiated between the EU and UK in a key Commons vote on Tuesday, with more than 100 Conservative MPs among those opposing it. 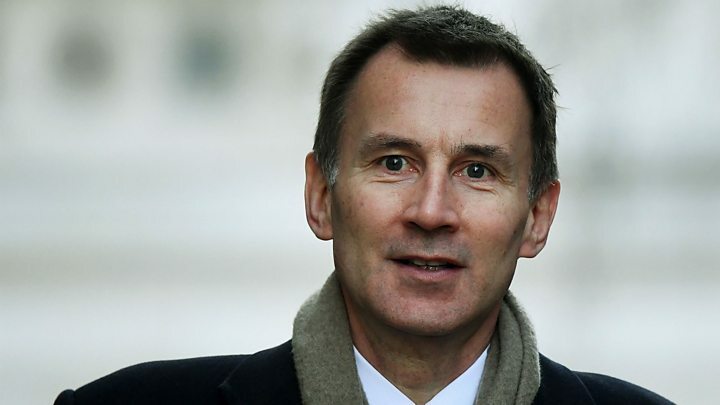 Foreign Secretary Jeremy Hunt warned that the possibility of Brexit not happening at all had increased, with Parliament showing this week it would not accept leaving without a deal. This he said would be an "incredibly damaging breach of trust and it would also be very bad for Britain's reputation abroad". But former attorney general Mr Grieve, who earlier addressed a rally of people calling for another referendum, said he hoped that cabinet ministers known to be opposed to a no-deal Brexit would be "frank" with the PM, if - as expected - she loses next week's vote. "I think the options are very limited and the reality in my view is that the only way out of this difficulty is go back to the public and ask for their opinion," he said. He said, if MPs reject the deal, the government should act immediately to strike the 29 March Brexit date from UK legislation before going to the EU to ask for an extension of the Article 50 process. "I believe the EU will extend Article 50 for us but I think they would only do it in a very limited number of circumstances ... and we need to explore what those circumstances may be." If the prime minister would not agree to do so, he added: "If a cabinet minister feels the government is doing something they can't accept, it is probably their duty to resign". "My feeling is that this will have its own dynamic and whilst I want to keep the government stable ... I hope the prime minister will listen carefully to what members of Parliament and members of her own government are saying to her." Earlier he said it was the duty of MPs to "stop people committing national suicide" by going ahead with a no-deal Brexit. The pound rose on Friday after a report in London's Evening Standard suggested Brexit looked increasingly likely to be delayed. However, during the third day of Commons debate on Mrs May's withdrawal deal, another senior pro-EU Tory backbencher, Sir Nicholas Soames, warned against moves to extend the Article 50 process. "I believe it would be quite wrong to postpone the Article 50 deadline and the House must be prepared to earn the undying contempt of the country if it simply does not have the collective will, discipline and sense of duty to come to an agreement", he added. Meanwhile, as many as 4,000 civil servants are being asked to move from their usual work to prepare for and handle a possible "no deal" Brexit. The departments which will see staff redeployed include Defence, International Development, Work and Pensions and the Education department. The plans involve moving some staff within their department, and transferring others to departments and agencies with the greatest extra no-deal-related workload, such as HMRC and Defra. according to a memo leaked to The Times. A government spokesman said: "As we get closer to the time where we will leave the EU, it is sensible and right for the Civil Service to accelerate preparations."